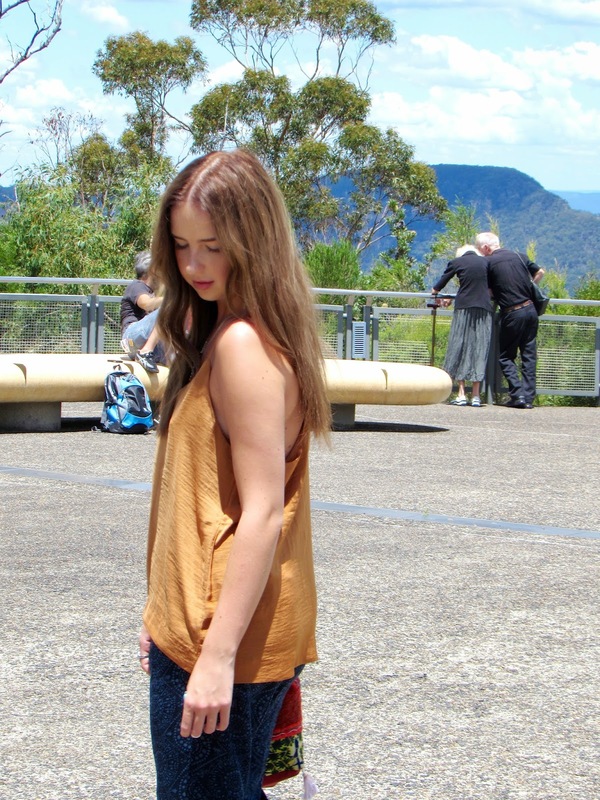 HELLO Blue Mountains, how beautiful are those views? If you come to Australia you have to visit the blue mountains, it's kind of mandatory. This was just a tiny part we saw as it's literally so big. We took a drive through different parts and stopped of at certain areas. For example, I got to see some alpacas.. Which was going to be the best thing to ever happen to me, however they got a haircut before I arrived. They really are nothing without their hair. We also stopped by an apple pie shop. It's kind of a Blue mountains thing where they are like the land of Apples. So every few miles up the mountains theres an apple pie shop OR a cider shop. Unfortunately I'm not a cider lover (beer gal) but I was seriously considering my options. The reason we went to this particular area, it's in or near (canny mind) a town called Katoomba, how cute sounds like something from the song they sing in finding Nemo when he first enters the tank in the dentist, lolz. I wanted to go to Katoomba because I had been told there was a shop called something like Enchanted which was full of Buddhas, Tapestry's and all things gypsy. If you have been following me on Instagram you would have noticed a slight change in my pictures. Reason being when it comes to summer time I love nothing more than bringing out my inner gypsy, bohemian princess or hippie if your unsure what I'm on about. Being in the sun for the first time in a while has made me feel amazing and made me remember how much I love being outside and embracing this side of me. Back in Scotland its not quite as easy running about in bare feet with feathers and plaits in your hair. HURRY SUMMER. As you can imagine it was very hot, so hot it was 40 degrees. For my day of exploring I wanted something light but also to fit in with my beautiful new bag. Incredible ae? Roughly about 12 quid and it's just so amazing. 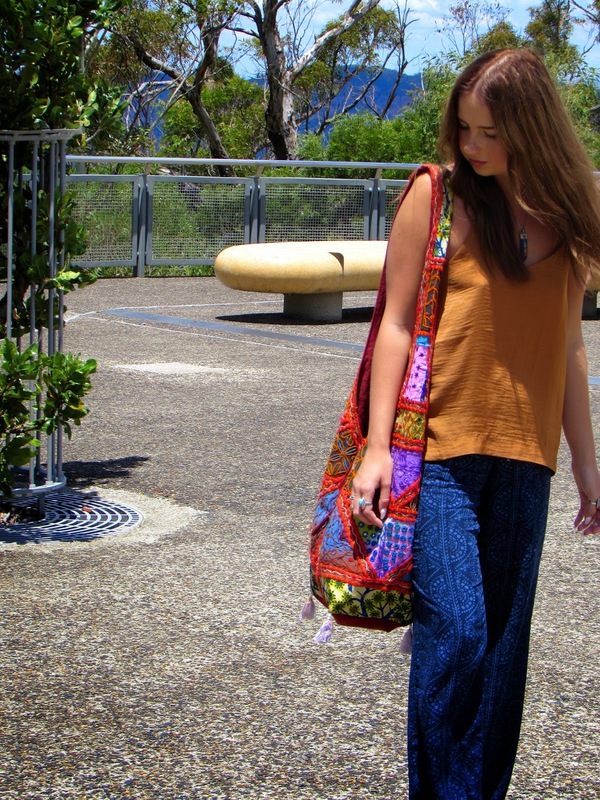 I'm really feeling flares at the moment and nothing better when your in the sun. The caramel top brought in some warmth which I felt brought the outfit together perfectly. What's your thoughts on the bag? and what style do you embrace in the summer? So on point with the 70s vibe, loving it!